Over the years, I’ve spoken with hundreds of young African students and graduates who are eager to create change. They want to be entrepreneurial – to earn money through hard work and innovation, rather than connections and corruption. They want to be more ethical than the world they grew up in. But they often have a hard time seeing themselves as “leaders”, and they are uncertain as to where to begin. Here are five lessons I’ve learned that I’d love to share with Africa’s future leaders. 1. Africa urgently needs new leaders in every sector, not just in government. Africa has many needs: more jobs, better educational opportunities, affordable solutions in sanitation and electricity. There are opportunities for leadership in engineering. We need ethical business leaders and lawyers who will resist corruption, and citizen leaders to pitch in to help their communities. What’s critical is the attitude that leadership is service, not entitlement. Future African leaders should develop the strongest mix of skills that their educational opportunities permit. Creating change starts with analysing problems, but you can’t stop there. To actually create change, we need young leaders who can combine their concern for the greater good with excellent, in-depth understanding of how to run a business or how to create and deploy new technology. We need leaders with courage who can think broadly and who excel at teamwork and communication. 2. Fighting corruption will require ethical courage. Africa needs leaders who will do the right thing, even when no one is watching, and who will refuse to tolerate wrong-doing in others. But ethical courage cannot be imposed; it is fostered through an honest exploration of values. Discussing real-life examples often brings clarity to the consequences of corruption. Would you want your sick mother treated by doctors who had cheated through medical school? What are the myriad costs of bribe-seeking and fraud to society? If we tolerate cheating now with our peers, how will we stand up to corruption in the future? If you want to lead, develop your own ethical courage; then help others find theirs. World-class innovators and entrepreneurs become so through experimentation. In labs, projects and community service, students must strive to try new things, fail quickly, learn, iterate and persist. Be flexible, but never give up. Through this process, one discovers that effective problem-solving, on any scale, requires listening and collaboration. Which brings me to my fourth point. 4. Africa needs the voices of women, minorities and the poor at every leadership table. Without diverse perspectives, we cannot develop broadly useful solutions to the problems of our communities. We need to strive to ensure that our college classrooms have gender parity, and reflect socio-economic, religious and ethnic diversity. Only 6% of young people in sub-Saharan Africa attend college. 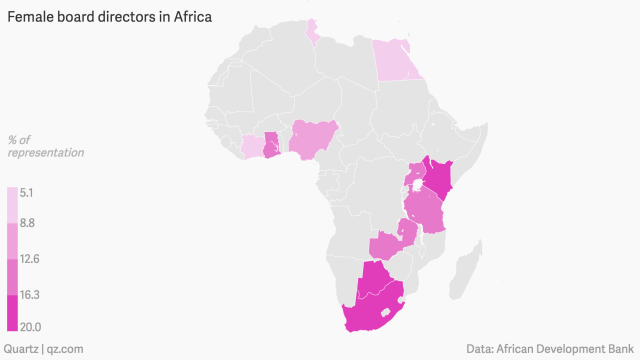 By definition, Africa’s future leaders are today’s college students. Our emerging leaders need to be as diverse as our countries, so that the perspectives of women, minorities and the poor are incorporated into future products, policy and infrastructure. People with great leadership potential are everywhere. We must recognize them, encourage them and give them the tools they need to succeed. 5. You too must pick up the litter.